President Muhammadu Buhari has hosted the leadership of Qadiriyya Islamic Movement in Africa and told them that education was an antidote to terrorism. The president urged religious leaders to assist the government to overcome forces of destruction through enlightenment of their followers to guard against religious extremism. 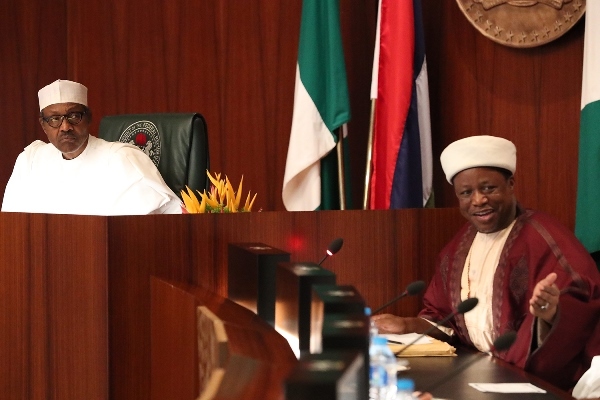 President Buhari also stated that Muslim leaders have a duty to promote the principles and tenets of Islam as a religion of peace and justice. The President who commended the Qadiriyya movement for promoting education, interfaith dialogue and good moral conduct in the society, expressed support for the proposed Islamic Centre in Abuja by the movement. Earlier in his remarks, the leader of the Qadiriyya in Africa, Sheikh Qaribullah Kabara, congratulated the President on his emergence as his party’s candidate for the 2019 election.